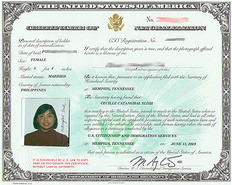 Photo ID for Voting - ASK. LEARN. VOTE! 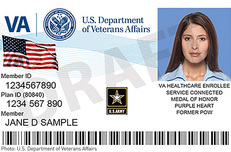 What Forms of Photo ID can i use to vote? What if i recently changed my name? For voting purposes, a name change is not effective until you have updated the name with an agency that can issue an acceptable photo ID. 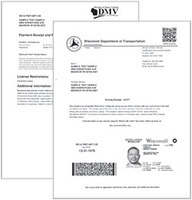 This is usually done at the Wisconsin DMV, the US Department of State passport service, a branch of the armed services, a federally recognized Indian tribe, or an accredited college or university. Even if you have recently married or divorced, or changed your name by court order, if you have not updated your name in your photo ID, you should continue to register and vote under your previous name. Once you have a photo ID with your new name on it, you must re-register to vote with your new name. You can re-register here. what if I recently changed my address? If your address has changed, you need to re-register to vote. To be eligible to vote from your new address, you must live at the address for at least 10 consecutive days prior to the election, per Wisconsin law. If you have not lived at your new address for the required ten days, you are still eligible to vote at your former address. If you have moved into the state less than ten days before an election, you may still be eligible to vote on a Presidential-only ballot. 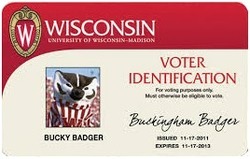 As a student in the state of Wisconsin, you can register to vote even if you are not a resident. If your student ID does not have all of the necessary features, you can contact the Department of Academic Affairs or the Dean of Students at your school to see if the school offers a special voting compliant student ID. 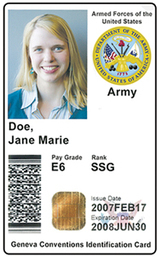 You can get a free state ID card at your local Division of Motor Vehicles office. If you do not have all or any of these, bring what you have to the DMV. The DMV will have you fill out two additional forms to get your ID. ​When filling out your application, check the box that says "ID for Free". Once completed, hold on to your receipt. Valid for 45 days, you can use this receipt at the polls until your free state ID arrives by mail. If you have questions about getting a FREE state ID, you can call the Voter ID Hotline at (844) 588-1069. 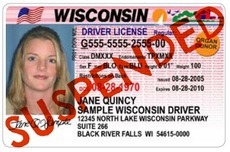 Do i need a voter id to vote absentee?